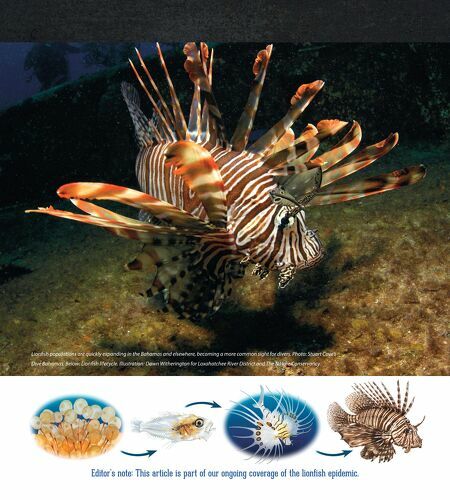 Lionfsh populations are quickly expanding in the Bahamas and elsewhere, becoming a more common sight for divers. Photo: Stuart Cove's Dive Bahamas. Below: Lionfsh lifecycle. Illustration: Dawn Witherington for Loxahatchee River District and The Nature Conservancy. 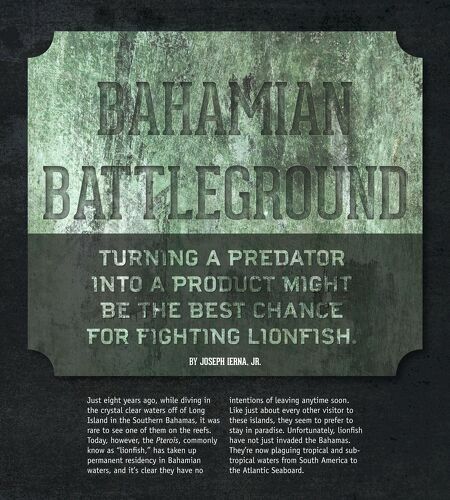 Editor's note: This article is part of our ongoing coverage of the lionfish epidemic.